Georgia O’Keeffe, American, 1887 – 1986. Painting. “Calla Lilies on Red”, 1928. Oil paint on canvas, image: 816 x 435 mm. Georgia O’Keeffe Museum, Gift of Anne Windfohr Marion. 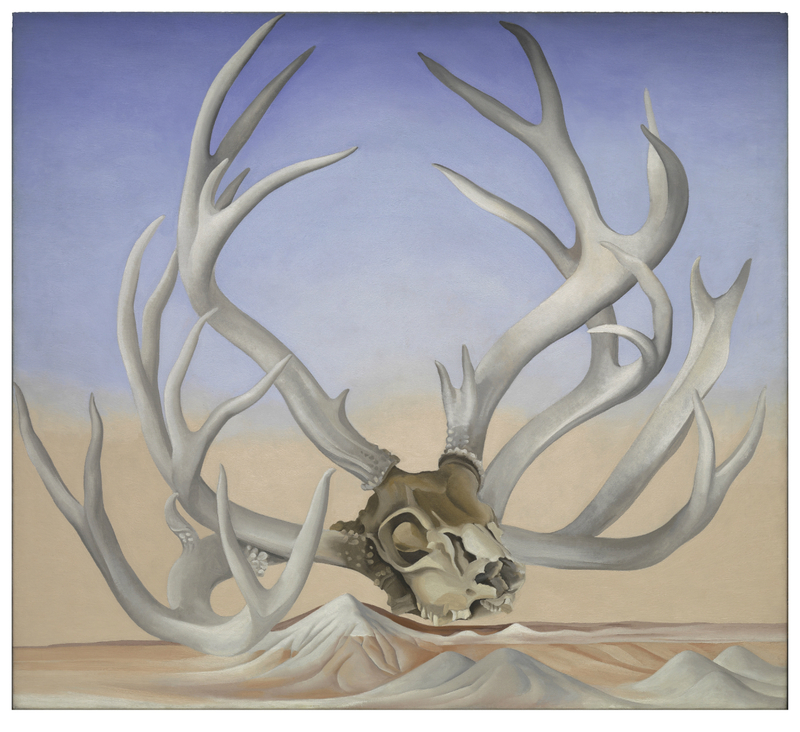 Georgia O’Keeffe, “From the Faraway, Nearby”, 1937. Oil on canvas, 91.4 × 101.9 cm. Lent by the Metropolitan Museum of Art, Alfred Stieglitz Collection, 1959. © The Metropolitan Museum of Art. 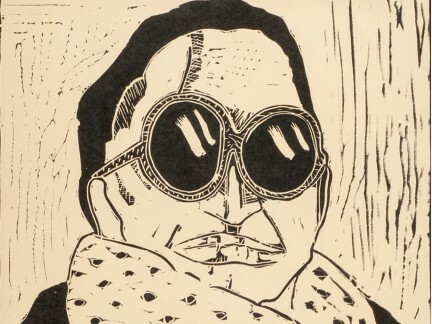 Image source: Art Resource, NY. 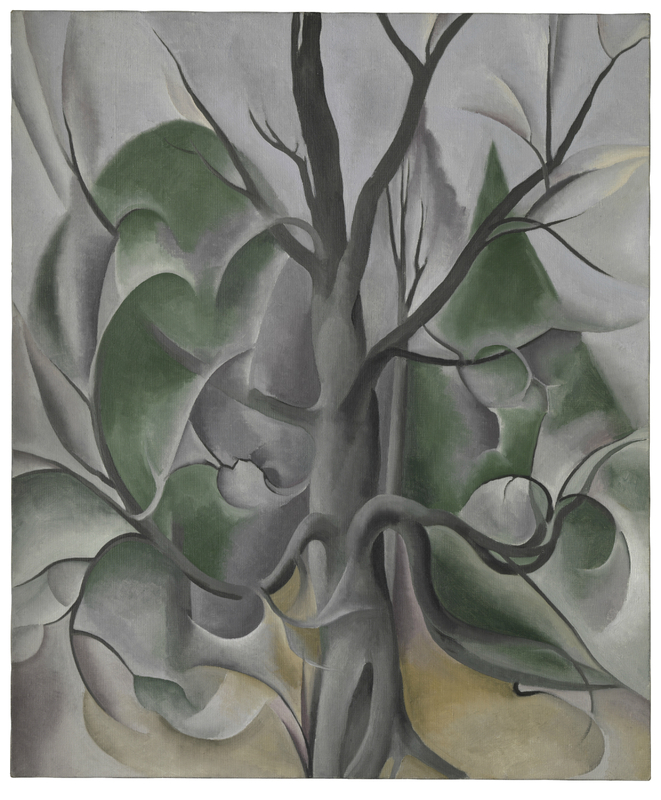 Georgia O’Keeffe, “Grey Tree, Lake George”, 1925. Oil on canvas, 91.4 × 76.2 cm. Lent by The Metropolitan Museum of Art, Alfred Stieglitz Collection, Bequest of Georgia O’Keeffe, 1986. © The Metropolitan Museum of Art. Image source: Art Resource, NY. Georgia O’Keeffe, American, 1887 – 1986. Painting. “Music – Pink and Blue No. I”, 1918. Oil paint on canvas, image: 889 x 737 mm; frame: 893 x 737 x 30 mm. Collection of Barney A. Ebsworth. Partial and Promised gift to Seattle Art Museum. 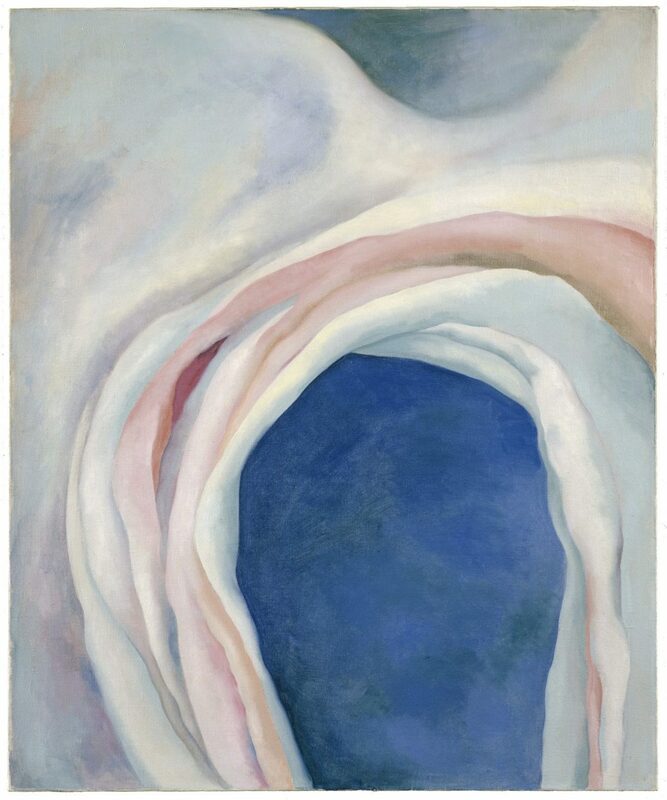 Georgia O’Keeffe, American, 1887 – 1986. Painting. “Oriental Poppies”, 1927. Oil paint on canvas, image: 762 x 1019 mm; frame: 800 x 1054 x 51 mm. The Collection of the Frederick R. Weisman Art Museum at the University of Minnesota, Minneapolis. Museum Purchase, 1937. 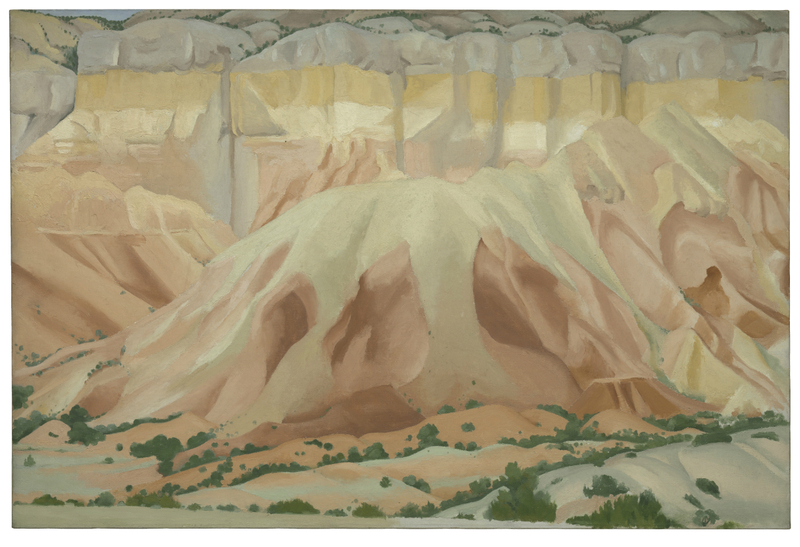 Georgia O’Keeffe, “Red and Yellow Cliffs”, 1940. Oil on canvas, 61 × 91.4 cm. 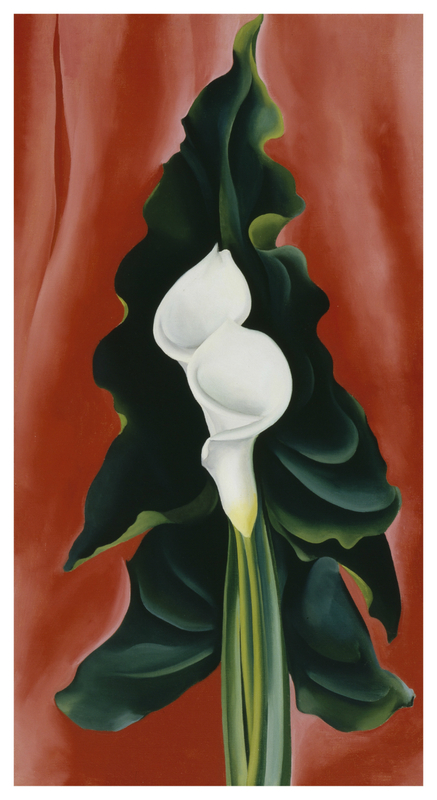 Lent by the Metropolitan Museum of Art, Alfred Stieglitz Collection, Bequest of Georgia O’Keeffe, 1986. © The Metropolitan Museum of Art. Image source: Art Resource, NY. Georgia O’Keeffe was a legend. A rebel. A trailblazer in every sense. And now, the largest exhibition of the American artist’s work ever to show in Canada is making its way to Toronto’s Art Gallery of Ontario (AGO). 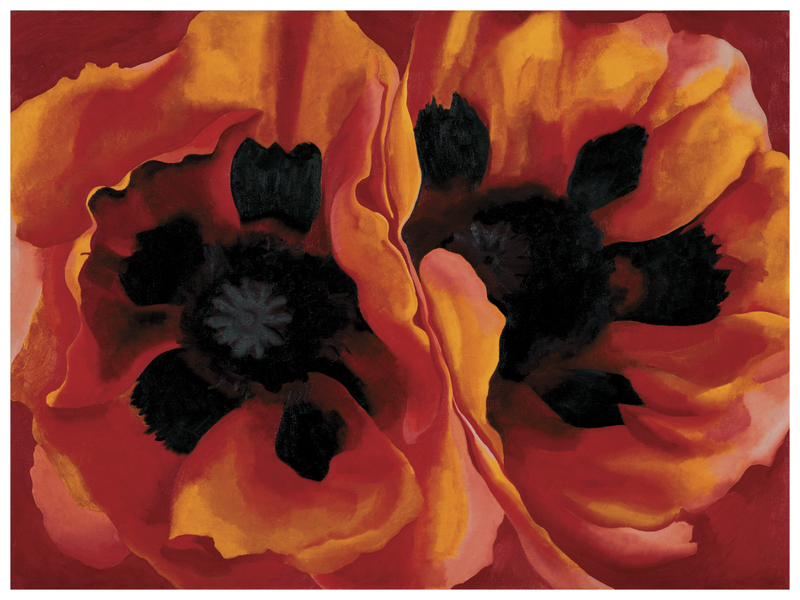 From April 22 to July 30, 2017, the retrospective—titled simply Georgia O’Keeffe—will be on display at the distinguished gallery. After stops at London’s Tate Modern and Vienna’s Bank Austria Kunstforum, the show is coming to the AGO for its only North American presentation. Including over 80 O’Keeffe pieces, including two paintings that are exclusive to the AGO’s show, Georgia O’Keeffe explores her vast and long career through quotes from the artist herself. 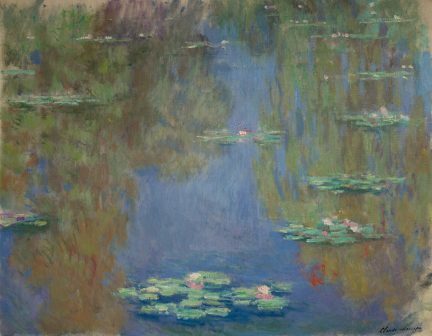 There are the iconic flower paintings, to be sure, but also lesser-known pieces that demonstrate her connection to architecture and landscapes. 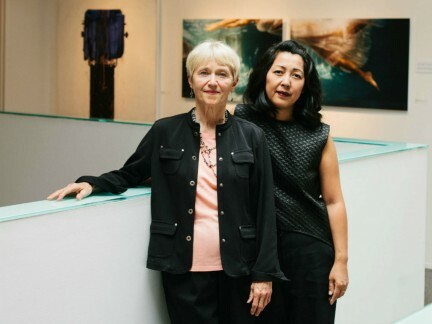 Aside from the show itself, the AGO is offering a series of adult art courses, a family workshop, a guest talk with Washington, DC’s National Gallery of Art senior curator of photographs Sarah Greenough, and even a special prix fixe menu at the gallery’s Frank restaurant—all inspired by the work of O’Keeffe. All of these things enhance the exhibition viewing experience, sure—but of course, the real power is in the work itself: in the brush strokes, the layers of colour, the emotion that emanates from the canvas. 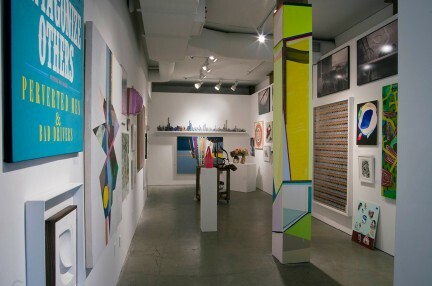 Keep up with our Arts section.